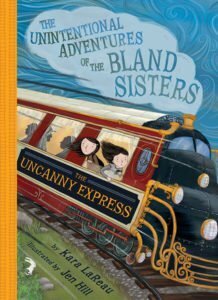 The Jolly Regina and The Uncanny Express by Kara LaReau, Books 1 and 2 of the Unintentional Adventures of the Bland Sisters, a review. These books both break a fiction-writer’s rule, namely that a book should start out with some action to draw the reader in. These young twin protagonists, Kale and Jaundice, would be happy to watch paint dry and clean the refrigerator, and they’re doing stuff like that in the beginning of each book until someone knocks at their door and introduces an adventure. Of course their parents are absent, as is necessary for the plot in so much kid lit, and they aren’t sure why at least at first. Their days are so incredibly boring that I, the reader, am waiting and expecting for something to happen. After all, I’ve seen the cover, which depending on the volume has either a pirate ship captained by a woman, or a passenger train labeled “The Uncanny Express.” And so, I did read through the boring beginning, sure enough. I suppose kids will too? 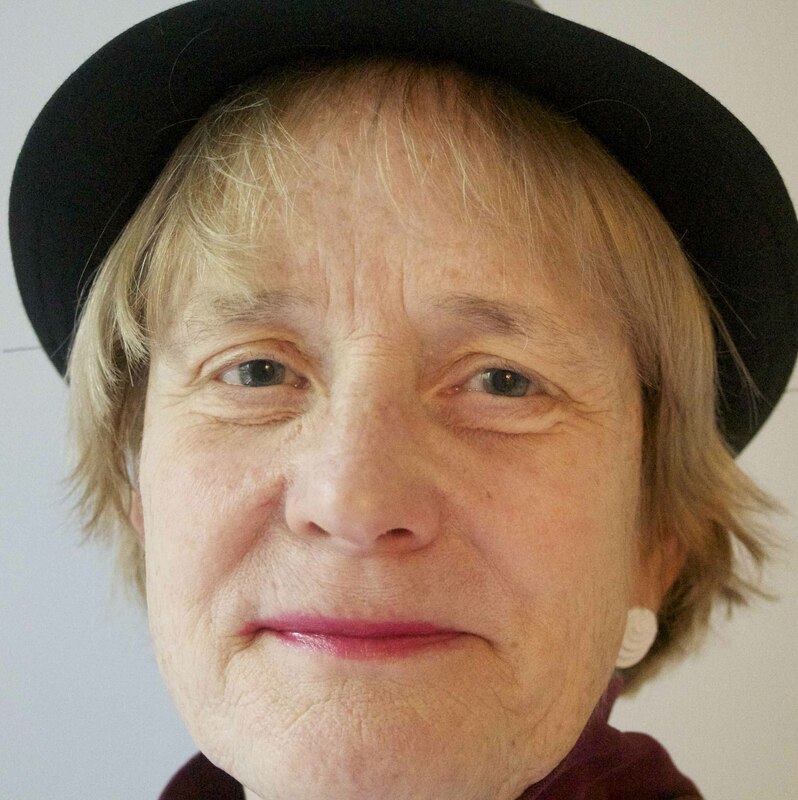 In the first book, it’s a lady pirate captain who tricks and kidnaps them. They find themselves scrubbing floors on a pirate ship that’s got an all-female crew. But they’re not slaves, really. They have a lot of freedom to roam the ship. And to figure out how to steer the ship toward the island where the crew had marooned the twins’ parents. On the way they rescue a couple of the lady pirates from their issues, and somehow it all ends well. The adventuresome parents don’t show up, though. They just send notes and letters. In the second book, the parents send a note telling them to let their aunt stay with them, an aunt whom they’ve never met. When the aunt shows up, she gets on a train with them, the Uncanny Express. Or is she their aunt? What’s sure is that she’s a magician. Soon the train journey turns into a whodunit, with a varied cast of characters all accused of a crime. This all ends well too, and again the parents just write letters, don’t show up. I think I’m seeing a pattern here! 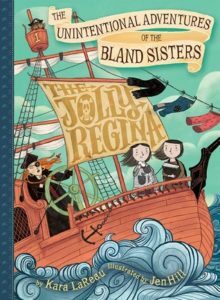 I enjoyed the pirate story and felt like I was getting to know these quirky twins, who have their differences from each other. But I found the whodunit on the train a bit confusing, because of course with a whodunit you have to have a large cast of characters, each with memorable quirks. I had a little trouble keeping them straight. But I am not a youngster, who probably would have a better head for this sort of thing. Click this logo for more reviews today from The Book Review Club! I love the cover art and enjoyed your review. I love the premise….these kids who want to be layabouts, but get involved in crazy adventures. 🙂 Thank you for reviewing! I like the premise and the covers, though it sounds like the beginning scenes need tightening.